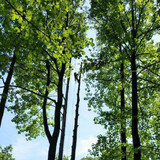 Top notch Tree Service has the expert knowledge and the equipment and infrastructure to tackle just about any tree job. Whether it be a simple brush clearing job, or large tree removal, we are the company to call. We have cranes to carry downed tree trunks and to get in the hard to reach areas of a tree for pruning. If a tree is overgrown, but you still want the tree, we can trim it. The toughest part of a tree to remove elegantly is the stump, and we have stump grinding services that we offer. We offer professional services for a competitive price, and we do free estimates, so call us today if you’ve got a tree that needs attention. our roots From seed to sapling and beyond. In the past few years, disasters have been all too common. A couple of able-bodied gentleman observed neighbors in need. Through unblocking driveways and repairing fences, an epiphany was had. 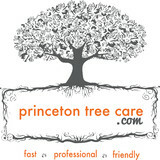 Princeton Tree Care was born to rise to the needs for professional and proactive tree care in our community. our philosophy We set out to be Princeton's Premier Tree Service. 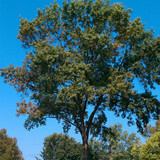 Our philosophies are focused on proper tree care and health. Through proper care, we can prolong the life of our valuable life giving trees. Safety is also a top priority. Through proactive maintenance and pruning techniques, we can increase a safety even when a tree is close to a home or other valuable asset. our team Everyone on our team has ownership stake in PTC. Our team, our entire team, has the mindset of an owner. We share in company decisions and we share in the companies success. Our teams mindset, our culture, is vital to our success in becoming Princeton's Premier Tree Service. At Jacob's Professional Tree and Shrub Care we have a team that has acquired over 16 years of experience and knowledge practicing the art and science of arboriculture. At Jacob's we know trees. 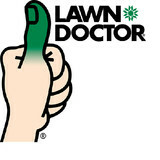 We know how they function and what they require to keep them healthy and thriving in your landscape. All work on your property will be performed by a certified arborist. All Seasons Tree Care Inc. has built its reputation by providing quality and professional service tailored to meet client's individual needs. Whether working a large commercial property or small residence, All Seasons approaches each job with an eye for detail and commitment to customer satisfaction. All Seasons Tree Care Inc. is the culmination of over 35 years of experience in the tree care industry. Owner John Hulsizer started All Seasons in 2005 with the vision of creating a small company guided by the high standard & principles he has developed over the years. For John, working in the tree care industry it's not a job, it's a vocation. John's artistic skills as an arborist are particularly evident after he has completed a thinning or pruning job. All Seasons is a fully insured tree care company specializing in pruning, thinning, removals, & stump grinding. Call for a free estimate and an honest assessment of all your tree care needs. Please feel free to browse our website or call with your questions. We offer Free Estimates! Gallo Tree Service is a small business local to New Castle County Delaware. We specialize in all phases of tree work from hazardous removals to routine trimming. We also provide our customer with high quality mulch and fire wood for a great price. Gallo Tree Service is proud to be a green company, by processing our own mulch we re-purpose wood from our job sites as well as discarded wood dropped of from the community. When bad weather blows our way you can be sure to trust Gallo with storm damage work. We can be reached around the clock for emergency tree service and will provide quick and confident work. Our company offers personalized tree services, specializing in fine pruning & trimming, planting, preventative maintenance, cabling, big tree removal with professional clean up, transplanting of trees and shrubs. We also offer stump grinding, firewood sales and land clearing. Crecraft for Treecraft’s tree services can make your property look better than ever. Well kept trees add beauty to your yard, but uncultivated trees can be the cause of many problems for your home and property. Let Crecraft for Treecraft of Radnor Township, PA help you to maintain your trees. We are a professional company of licensed and insured tree services specialists. When you need tree removal and you live in Radnor Township, PA or the surrounding area, call Crecraft for Treecraft first. You will be glad you did. We provide basic tree trimming and tree pruning services, and our team can determine the condition and health of your trees any time you want. We are glad to tell you that we have more than 40 years in the business, and we have many happy clients in the Radnor Township, PA area. Our tree experts are dependable, safe, friendly and good at what they do. Crecraft for Treecraft sticks to the strictest standards of customer service, safety, and ethical business practices. Our tree services are the best you’ll find anywhere in Radnor Township, PA.
We are certified arborist's that use a holistic, prescriptive approach along with experience and the right equipment to provide a full range of tree care services. We at Flores Tree Service & Landscaping, Inc., focus on quality tree services over quantity. We use our years of experience and expertise to complete your project with perfection. Customer service and honesty are the most important aspects of our business and your satisfaction is guaranteed! Please call us today for an estimate. We look forward to working with you. Tree care and maintenance in Newark, DE and surrounding areas. Reasonable prices with quality service. We are local arborists caring for the urban forest. Estimates and consultations are free so give us a call - we love talking trees!